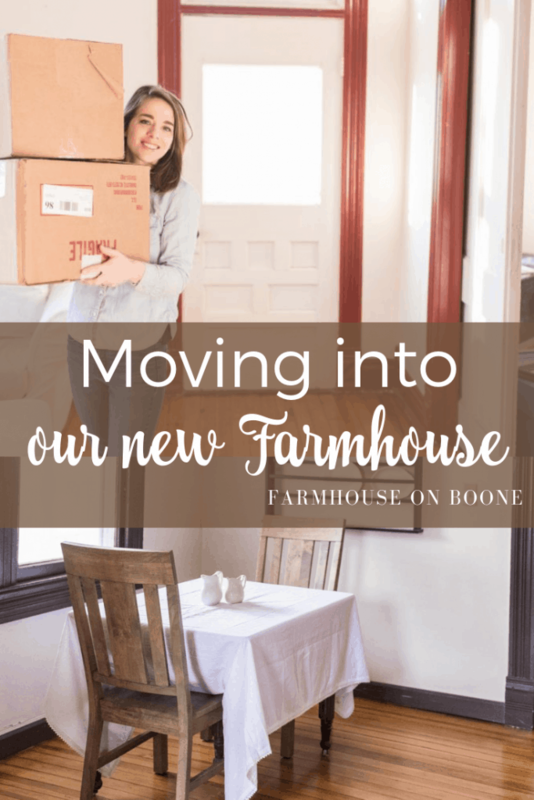 Moving into our new farmhouse! The long awaited time has finally come. We are moving into our new farmhouse. I discuss the challenges, plans and how we’re feeling about the big change. 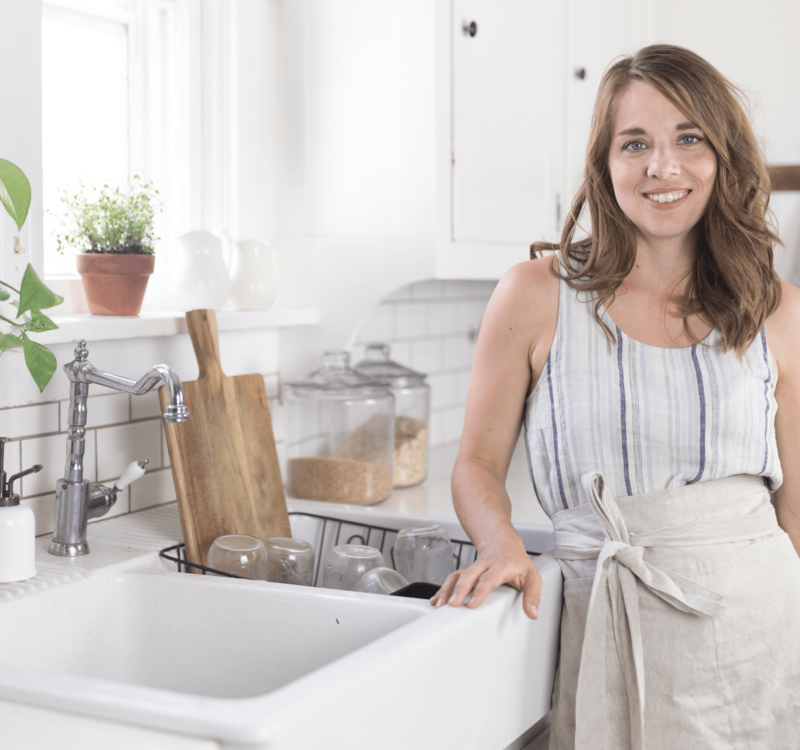 Grab my free guide “5 Steps to an Organized Kitchen” HERE. Join my Facebook group, “Simple Farmhouse Life” HERE. Get my free essential oils class to learn all about the oils we use in the farmhouse! Watch it HERE. All the videos about our new farmhouse can be found HERE. At this point I feel like we have jumped over so many hurdles in this process. It’s been tough, especially with 5 kids that need an awful lot of attention. We ended up using a fork for the hairbrush, and I’m not even joking. What doesn’t kill you makes you stronger, right?? So, moving in, and being able to get all of our stuff put away is A BIG DEAL. I found that the biggest challenge with moving into a new place is knowing where everything goes. Where do you put the diapers, the extra gloves, the broom, the trash can…? That has been a challenge, but I know we’ll get it figured out soon enough! 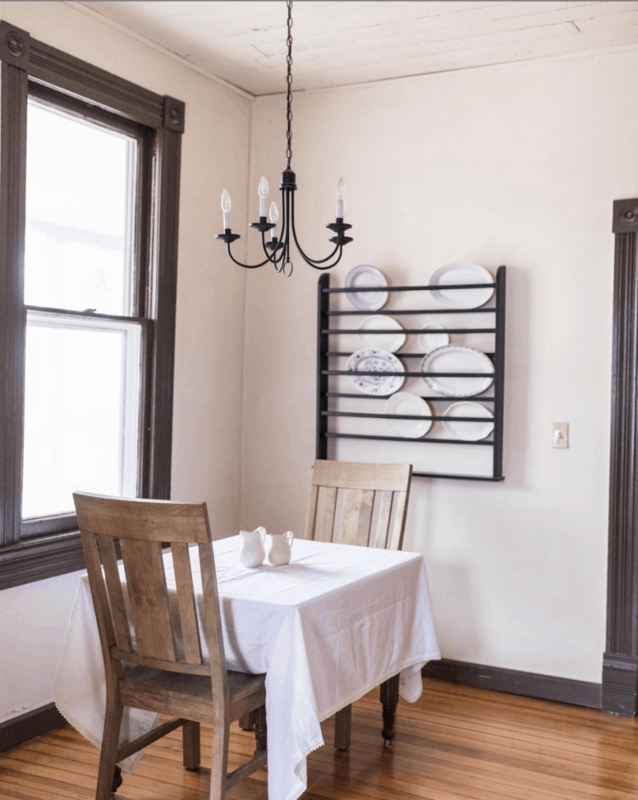 Even though it was probably just a waste of time, I put plates on the and added a linens to the little table in the kitchen. One place of solace in all the moving chaos! Last night I was laying in bed thinking over the day. I feel like through this entire stressful process Luke and I trade places backing each other off the ledge of losing it. Yesterday I tried to lose my cool several times, over not knowing where to put things and everything feeling so messy and incomplete. We would get a few things in place, and I felt better, but then he was getting uptight about something else. Then the internet stopped working and I missed basically a whole day of work. He tried to encourage me that it would be fixed soon. I was laying there in a warm bed, while outside temps were in the negatives, with my 5 kids snoozing all around me, a loving husband, my dream farmhouse, and realized, I should be nothing but thankful. I am just looking forward to spring. By then, it will be warm outside, we’ll know where everything goes, the painters will be gone…I can’t wait. But in the meantime, I am THANKFUL. See the full tour of our new farmhouse and homestead HERE. Make sure to watch the video above for the full “moving in” vlog. Looking good! Moving is SO stressful!! If you have extra space in kidos maybe consider thinking outside the box what about kid activity space? Swing? Climbing wall?! Extra floor space could just be space for play when its too cold for outside! Just an idea! Lol! If you have contractors already in the house they might could install that kind of thing?! Just a thought! Love the fork story. This is the real. We all go through it and your sharing it makes us all feel normal. Trust the Lord…this trying time is refining you for His work! Oh Lisa I don’t envy your moving process at all especially in the dead of Winter but I love your new farmhouse and look forward to seeing your progress and ideas along the way!! When I moved into our 1900 farmhouse, I also intended to get wardrobes for the closetless bedrooms. In the meantime, I copied from the kids’ Montessori school classroom shelving…8 inch by 6 foot precut planks stacked (from Home Depot) with cinder blocks or glass blocks between (4 high but, totally flexible). I added a few baskets for underwear and socks and some for loose toys. The boys could put away their own laundry, organized by short sleeve tees, long sleeve tees, jeans, shorts, church pants, church shirts, outerwear, etc. Shoes on the bottom shelf (or below the first shelf depending on the configuration). They could see their options and it really helped them become more independent. They stored their personal treasures on their own shelves. It was nice to watch them become responsible for their own belongings. It worked so well that I never got around to buying wardrobes or even dressers for their rooms. Two even brought the shelve compenents to college with them. Hi Lisa, I get the whole moving thing. We moved into a fixer upper the week of Thanksgiving. I feel like I missed Thanksgiving and barely made it through Christmas. I have two older kids. I couldn’t imagine doing it with 5 little ones. Like you, I am thankful even though my bedroom is in the office, I am using a plastic table, and most everything but the necessities are all in boxes in the frozen garage. Love your blog! I really enjoyed your moving in update. Don’t worry that your world is crazy right now. As time goes by, you and the family will get into a rhythm just like you had in your “Boone” farmhouse. Until then just go with the flow. I’m curious if you brought you chickens and cats with you to the new house? Lisa you don’t know how long I’ve been waiting to see your first video of your new farmhouse! I am so happy for all of you. We spent the first year in a bedroom upstairs with my 2 highs schoolers. 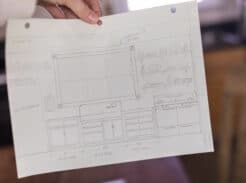 After a year we had finished building on my mothers apt, and at that time, my mom was able to move from our master bedroom into her new apt, and we moved into our bedroom downstairs and my husband built a dividing wall in the huge bedroom upstairs, making it into 2 bedrooms. It was all worth it in the end. I really have to say how beautiful your new home is. You guys were suppose to have this house. Love the woods around your home, and I can picture a dairy cow roaming your land some day! Lots of wonderful things ahead to look forward to. Thank you so much for taking us on your journey. I also want to thank you for your channel. Very inspiring, very informative, and just fun learning from you the lost art of homemaking. God Bless. Hang in there. Sounds like you’re doing exceptionally well to me! 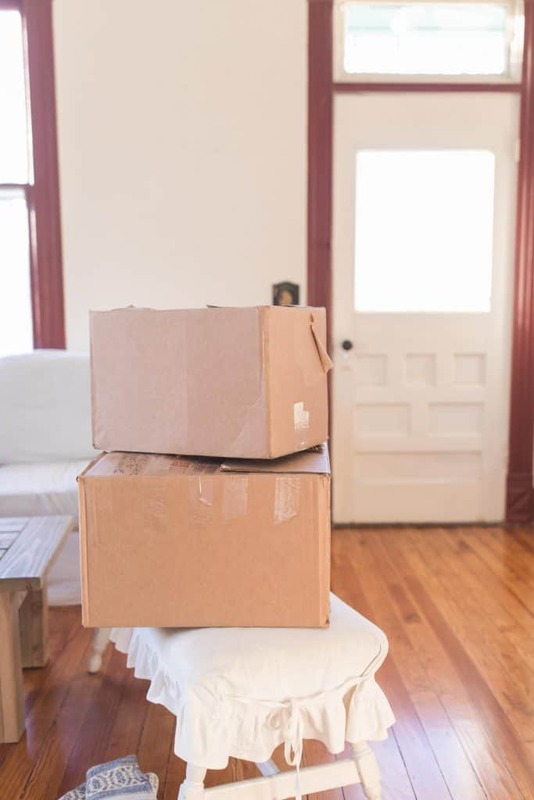 The few times I’ve had to move, my “Sanity-Saver-Moving-Kit” always included hand soap, a few towels, band-aids, snacks, toothbrushes, unbreakable drinking glasses, snacks, brushes & combs, aspirin or Tylenol, blankets, paper towels and MOST importantly – toilet paper!! Congratulations on moving into your beautiful new home!! It looks like you’re going to be very happy there. I hope the next few days and weeks go well for you. Spring WILL come, God has that well in hand. I love your floors, they are really pretty. I really enjoy your updates, thank you. Oh – I feel for you. Just thinking about not knowing where everything is makes me nervous. BUT your new house is beautiful. That antique hutch with the white pitchers speaks of things to come. You will make it all beautiful with your talent, and I am excited to see what you do. God bless the new Farmhouse on Boone. This is all so exciting for you I have moved sooo many times (16) and 12 of them were within 10 years I don’t like the packing up (although I love the chance to declutter and donate so much stuff each time) and moving bit but I loovvvee the actual moving in and finding new homes for everything, a little more challenging with five children but at least you have your husband at home, mine was anyways at work so I did most of the packing up and unpacking by myself albeit with only two children. Loving the moving in. Its so chaotic, exactly like real life! LOL…it is real life! Was thinking you could possibly have someone who knows drywall to put in a few small closets for you, I heard you say the kids rooms are bigger. Might be worth it. Happy new house. Really enjoying keeping up with your journey and the move into your beautiful new home. 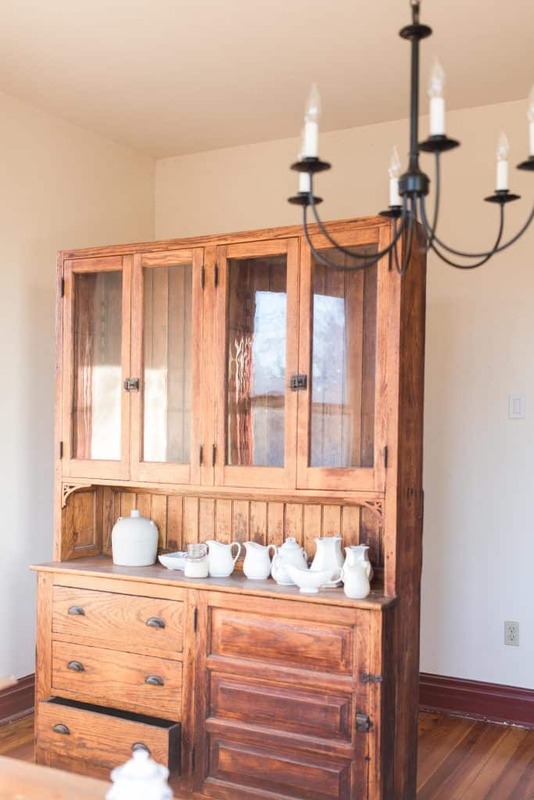 Heard on your video that you are needing antique wardrobes and thought I’d turn you on to a great estate sales website. You can find amazing antiques for incredible prices. Here is the link https://www.estatesales.net/?utm_source=gmail.com&utm_medium=email&utm_term=28625&utm_content=Charlotte-NC&utm_campaign=2019-02-02-1DaysBefore . Wishing you much success and looking forward to all your upcoming blog entries! Oh yay! thanks so much for the tip! I will check that out! Love your new home! The floors turned out beautiful! Great stories. Excited to watch more farm house.